Hospitality Marketing Concepts (HMC), the world’s leading provider of outsourced hotel and dining lifestyle frequency programs, offers advanced mobile app technologies with every program we operate. In this video, we’ll demonstrate how HMC white-labels their mobile app platform with “Elite Club,” a fictional loyalty program. HMC’s mobile apps completely eliminate the need for paper-based voucher booklets or plastic membership cards. Members can access their loyalty program via both iOS and Android mobile devices and enjoy instant discounts on room reservations and dining on the go. Our secure, patent-pending e-certificates allow members access to desired benefits such as complimentary nights and cash certificates, which can be used at any participating hotel or restaurant and provide instant access to member benefits. It also streamlines hotel operations by providing detailed tracking with two-way POS/PMS integration while improving analytics, intelligence and advanced security controls. Stay connected! Members automatically receive relevant promos and push notifications based on their location, past purchase behavior and preferences. Members can quickly book rooms with the assurance they’ll receive members-only rates and easily make dinner reservations at participating hotel restaurants. HMC also offers an optional private-labeled mobile and web-based table reservation service, allowing members the opportunity to book a tables on the go and providing hotels with incremental F&B revenue. Guests always have immediate access to hotel details, their member benefits and can even purchase or renew memberships. And if a guest ever has a question, Customer Service is merely a couple of taps away. Give guests the power to take your loyalty program with them wherever they travel. 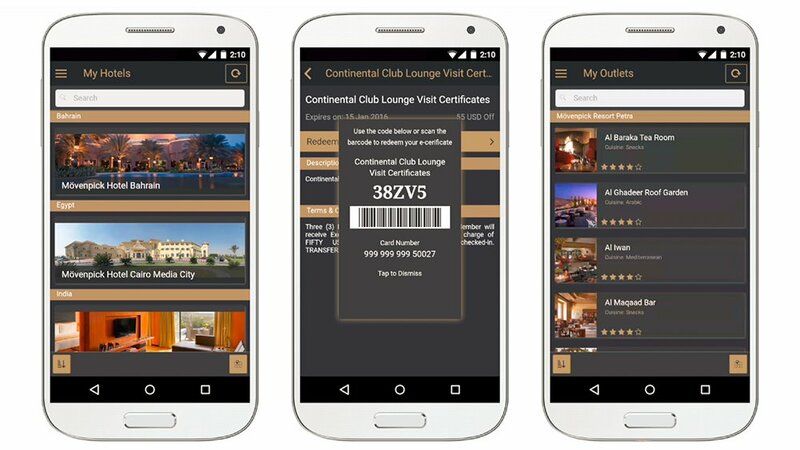 The innovative mobile app from Hospitality Marketing Concepts is the most powerful and relevant way to streamline hotel operations and ensure every guest receives a seamless and engaging experience.